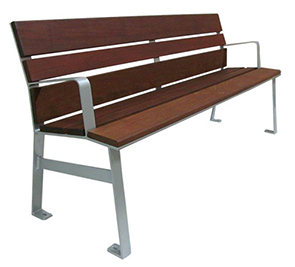 Add some sophisticated style to streetscapes with these attractive 6' park benches from the Verve Collection. Seating areas naturally warm up with the texture of fine-quality wood planks that offers comfort without sacrificing aesthetics. Skillfully developed with industrial materials and modern day appeal, these benches are crafted with beautiful IPE hardwood planks supported by a minimalistic aluminum frame. 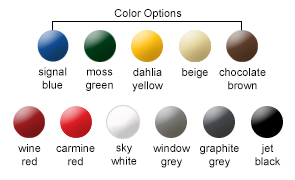 The powder-coated aluminum frame is crafted utilizing tabbed footings, accommodating easy surface mount installation.